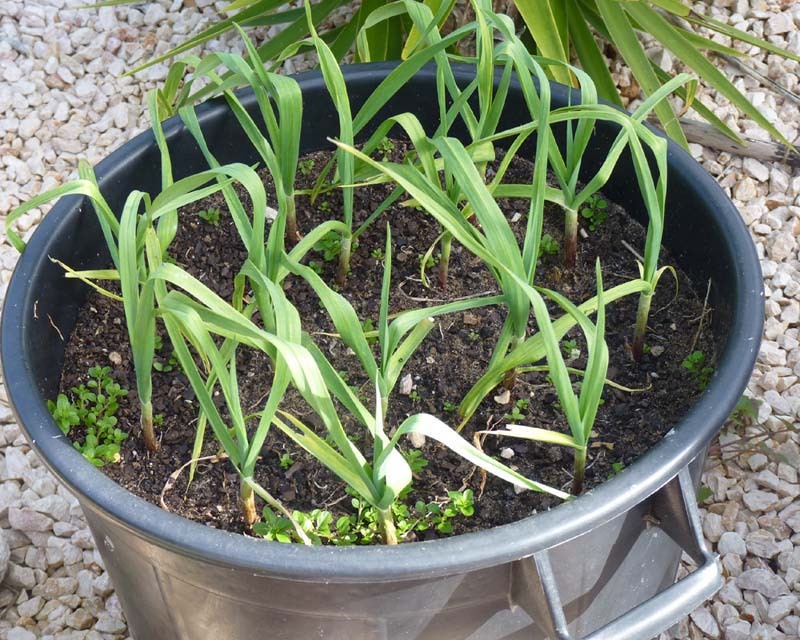 Growing Garlic in Pots – Success or Failure? Since moving to Portugal we now use far more garlic in our food than in the UK. 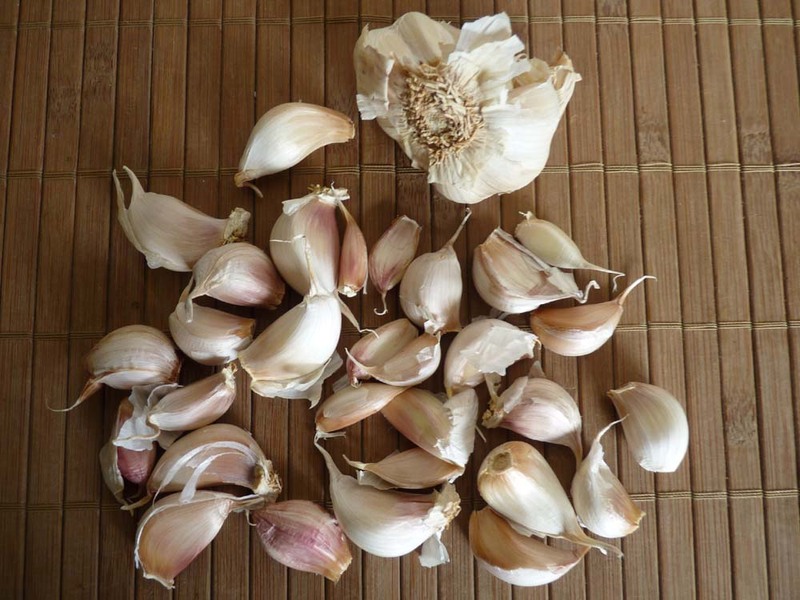 Reportedly, garlic acts as a great mosquito repellant because they dislike the taste of your skin/blood when garlic is absorbed into the body. I am not sure how true this is, but I no longer have as many bites as I did before my garlic addiction. (Hopefully, I am not tempting fate by saying this). Anyway, I decided to experiment and grow garlic in pots. How difficult could it be…? I think it’s safe to say a picture(S) saves a 1000 words! 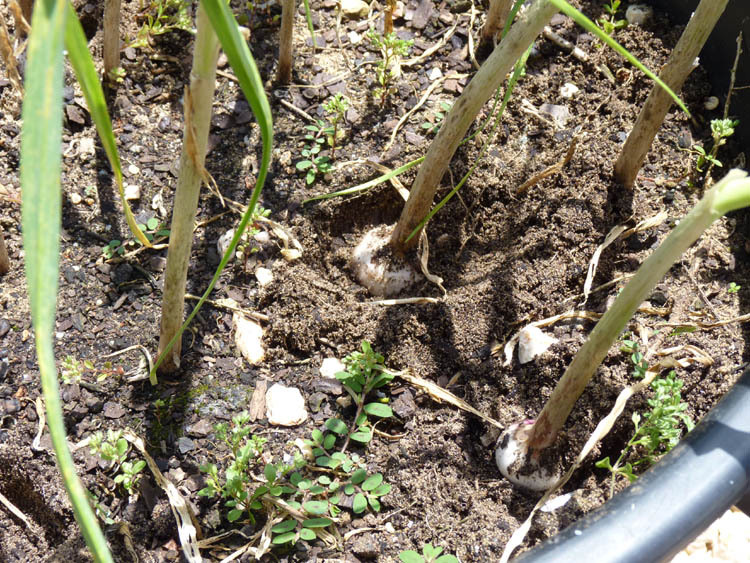 November (2010), I divided up heads of garlic and planted the cloves in several large pots. February 2011: They are sprouting well and I am really optimistic! April: The leaves (I think these are called scapes?) continue to grow well. End of May: What's happening beneath the surface? Approaching the task with the same care as in archaeological dig I tentatively scraped away some soil to investigate. 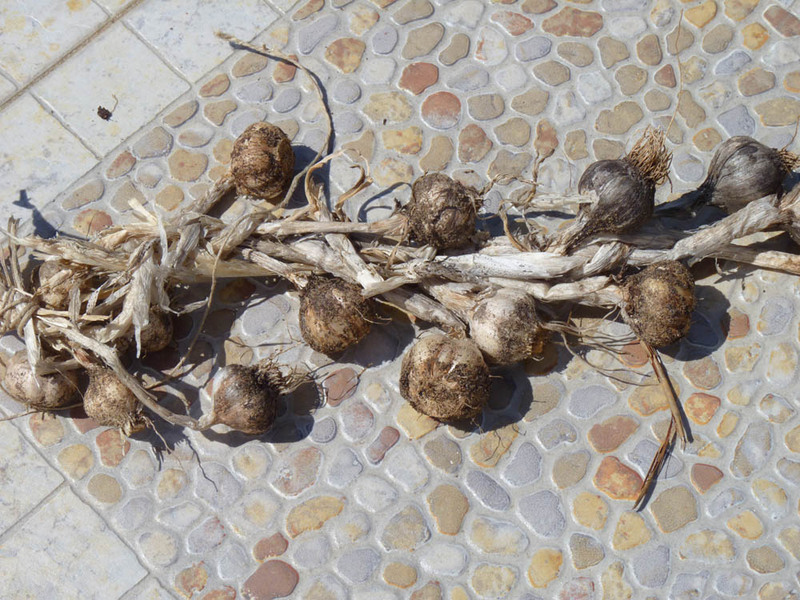 End of July: The foliage had died off so I eagerly dug up all the heads of garlic. What a disappointment they were not much bigger than my cherry tomatoes! I then tried to plait the garlic, but there is a definite knack to this! Not much to show for 7 months growth. Never mind, there is always next year. The moral of the story is: I can’t just stick garlic cloves in pots and expect them to grow! Container Gardening, gardening, gardening in Portugal, growing garlic in pots, growing garlic in pots in Portugal, growing vegetables in containers, postaday2011, why wont my garlic grow? Well, at least you can say you gave it your best shot!! I suppose I would get an “E” for effort! Just left a note on Gregs website and subscribed. thanks for the recommendation. At least you had some luck with growing garlic, we’ve tried and tried but never get any joy. I don’t know if it’s too much sun, or not enough and the same with water too. I take it pots don’t work very well. 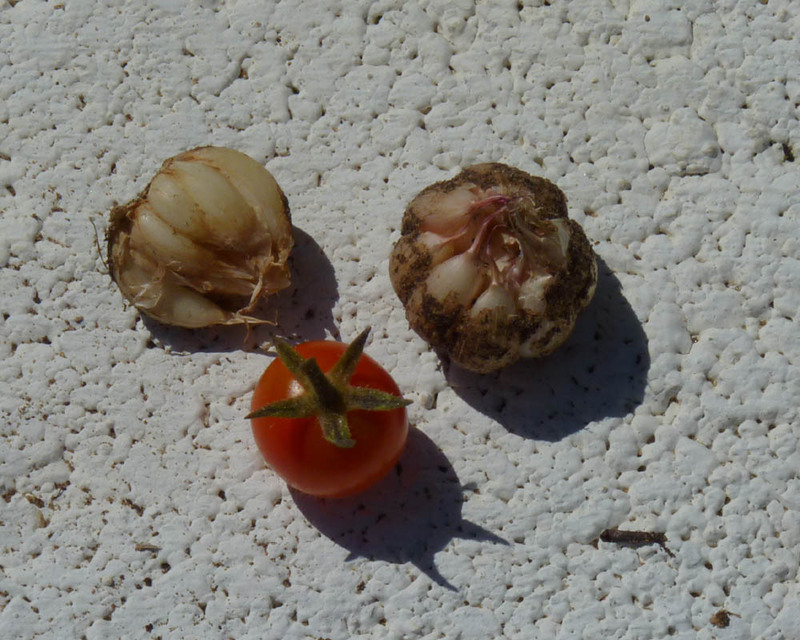 We had shoots but no actual garlic, well, a tiny thing that looked like a shrivelled grape! At least something grew which is edible! Hopefully I will learn by mistakes and will have more luck next year! Mine were really small this year too, but it has been a nonexistent summer here, they still taste great even though they are small though!! 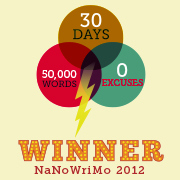 Hi RNP, I can’t say my failure was lack of sun. Interesting though re sun. Mine get full sun all day – I will have to checkout location in the winter when sun is lower and casts different shadows. Right…you have inspired me…I am going to give it a bash too. When garlic is harvested commercially, it is sprayed to stop it from sprouting, so that’s probably why yours didn’t come to much. Best to buy seed garlic from a grower. Also, I don’t think they do well in pots – the pots dry out too quickly and garlic needs moisture; if you have the room, plant them in the garden next time. I think they take 6/7 months before you can harvest. Hi Barb – interesting point re sprouting. I bought my garlic heads from the local farmers market, plus a friend in Northern Portugal sent me some American garlic which she grows. I think perhaps next time I need to be even more generous with the water. I grow in pots as I have better control We have very sandy soild here and the water seems to just sit on top. I will have to see if I can buy some garlic seed from somewhere and try again! Maybe you can start a craze for mini-garlic. 🙂 They were really very cute! Seriously though, I’ve never tried garlic…but I’m sure you can find lots of hints online…good luck next time. :) Growing anything in soil is good for the soul! I think it’s great that you got any on your first attempt! I’d love to try garlic as fresh as that. Give it a go Thorny Rose! WE can compare notes next year! I applaud your effort! If you want to try growing the garlic next year, maybe try deeper pots. We are trying our hand at growing asparagus. I have heard it takes a couple of years for it to really get going. Only time will tell. Hi Jeanne – the pots are very deep! 🙂 When I dug up the garlic the roos had not gone down very far. Good lucky with the asparagus; I think that would be a bridge to far for me! Keep us posted! The same happened to garlic we planted, from supermarket garlic. You need to plant organic garlic cloves. 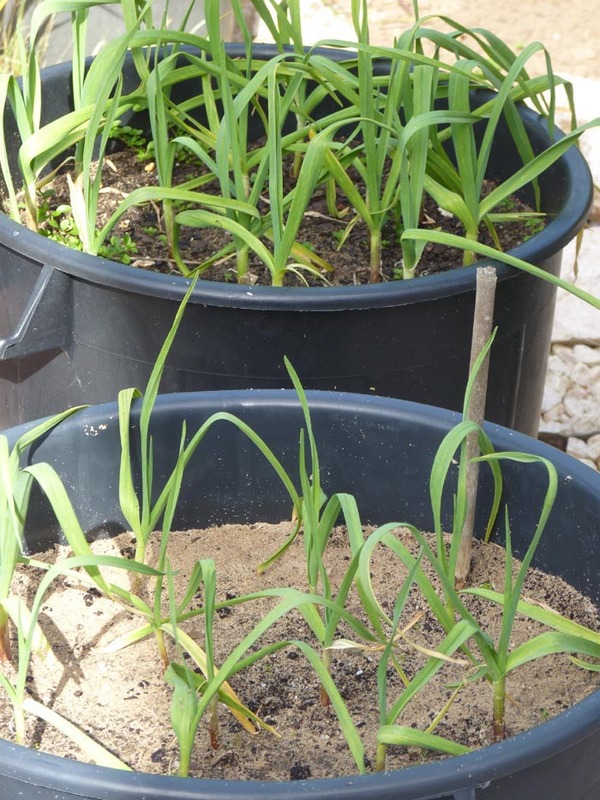 The following link explains how to plant garlic (just change planting season to the following 6 months article applies to Australia or southern hemisphere). Best of luck with your next crop! reading the link you included I seemed to have done everything by the book. Maybe the cloves I planted were not of good quality. I will have to go to the farmers co op and see what I can find out! Cherry garlic! What a brilliant idea! I’ve always been a huge fan of (eating) garlic and my wife is Korean and they really use heaps of it. In my mind, if you walked away with more garlic than you started out with, you were successful! LOL – that’s a positive thought! I’m sorry the garlic harvest was less than exciting, but thanks for the tip about Mosquitos. that’s great! you will just need a facebook one now! I wasn’t thinking and just replied on my site! I think you were successful – you at least grew something even if it wasn’t as big/good as you expected. Good effort! Hmmm there’s always next year!